LA was a nice change of pace from the Bay area, mostly because it's actually warm. We spent Saturday at the beach and it was wonderful. We started in Santa Monica and parked our car there. We decided to head along the beach all the way down to Venice. The whole area on the beach is connected by a path where people bike, run, scooter, and skateboard. It's really just a giant tourist trap filled with trash and scheming performers. But whatever. Okay yeah, so not my favorite place in the world, but go if you're in the area. We continued along the beach and ended up in Venice. Venice is also kinda trash but I suppose that's all boardwalks. 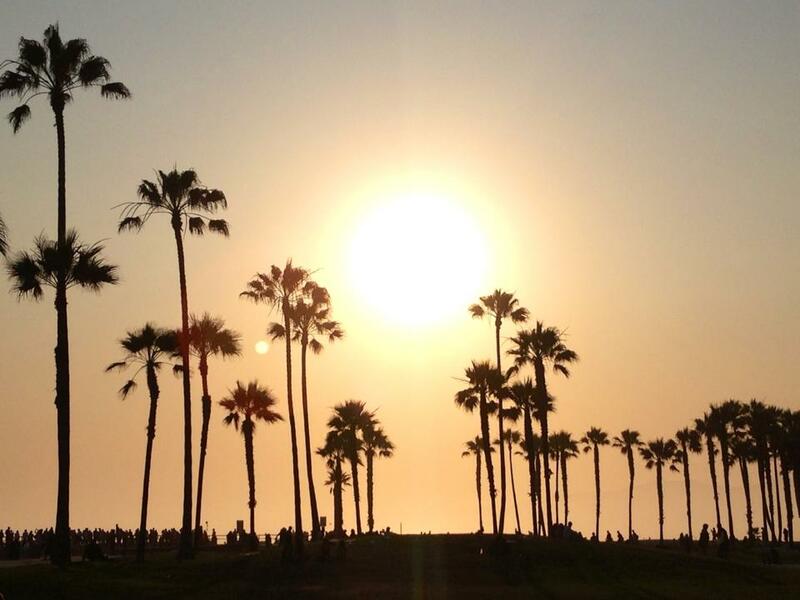 Please enjoy this photo taken on my iPhone 5 from 2013 of Venice Beach that I took the last time I was in LA. After walking all the way from Santa Monica to Venice Beach, we were exhausted. We opted to take Bird Scooters back to the car. They're lining the path and a super popular way to get around the beach. All you need to do is download the app and put in your info to rent them. Cheap and simple and lots of fun. We zipped all the way back to the car in absolutely no time! It's just a short drive North of Santa Monica. Malibu is known for the most gorgeous beaches and beautiful people. We wanted to see what the hype was all about. But first, it was snack time. We stopped at Sunlife Organics in Malibu for an Acai Bowl. I got the Hawaiian bowl and it was probably the best Acai bowl I've ever had. After refueling with the best form of carbohydrate, we drove over to El Matador State Beach. This beach is far better than the ones that we went to the LA. It's worth the 40 minute drive. It's gorgeous. You have to walk down a set of wooden stairs to access the beach. It wasn't too crowded either! The most entertaining part was seeing literally EVERYONE and their mothers taking Instagram photos. I mean literal mother taking model photos of their daughters and vice versa. There were instagram boyfriends galore. There was even a music video being shot while we were there. It was so fun to just sit and watch. But naturally, we had to get in on the action too. We didn't stay for too long here. We decided to drive back towards Santa Monica and walk around the 3rd St Promenade once the sun began to set. It was a lovely beach day. 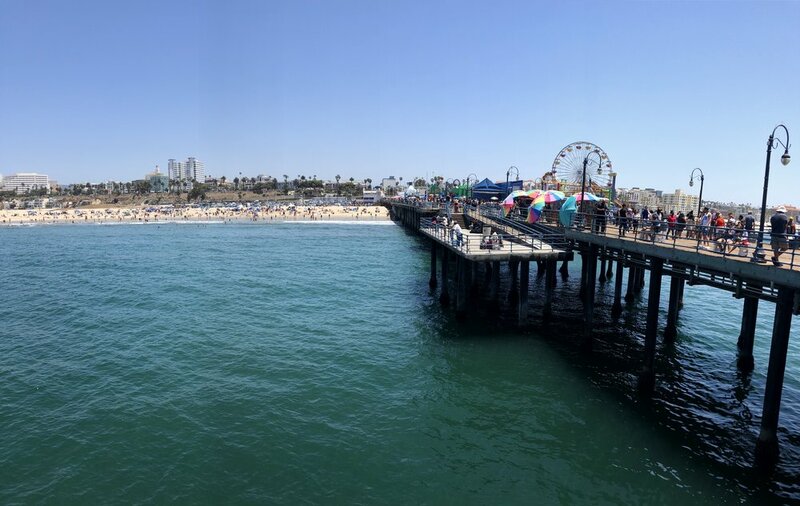 Santa Monica pier is a nightmare, but the rest of the beach is great! Lot's of room to lay out and enjoy the sun.